The City’s Board of Zoning Appeals agreed to allow the variances requested by Sullivan Hardware! MKNA is pleased to stand behind Sullivan Hardware and support their request. Thank you to the neighbors who took the time to attend the hearing and have their voices heard. the seasonal outdoor display and storage of bagged goods, flowers, Christmas trees and related items. a trash enclosure in front of the established building line along 49th Street . a flower product display area, parking and bagged goods display and storage area within the clear sight triangles of the driveways at 49th Street and Pennsylvania Street. This case is a revised petition from Sullivan’s case in 2014 that was denied by the zoning board. In the original zoning case, the City’s planning staff recommended denial of the petition over concerns in the reduction of five parking spaces taken up by Sullivan’s outdoor display area. Sullivan has entered into a parking lease agreement with a neighboring property, allowing them to maintain their required 19 spaces at all times. Therefore, in the case being heard on Tuesday, there is no issue of parking. 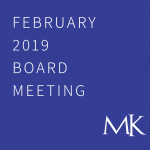 The Meridian-Kessler Land Use committee and subsequently the Meridian-Kessler Neighborhood Association Board of Directors recommend that the City support this variance. We have worked closely with Sullivan for the past two years to address their zoning concerns. We feel their requests are reasonable given their location at an urban commercial node and we appreciate their willingness to work with us to address neighbor’s concerns by screening their dumpster and limiting their outdoor storage to a seasonal basis. All interested neighbors are encouraged to attend the City’s Board of Zoning Appeals meeting on Tuesday (11/17/15) at 1:00pm. Meetings are held in the Public Assembly Room of the City-County Building. Neighbors may also wish to voice their opinion on this case can send letters to the Staff Planner, Robert Uhlenhake at the address below. Comments should reference case # 2015-DV3-039. This meeting has been continued at the request of Sullivan Hardware & Garden. The Board of Zoning Appeals will hear this waiver-request on June 16, 2015 at 1:00pm. Meetings are held in the Public Assembly Room of the City-County Building. Neighbors wishing to voice their opinion on this case can send letters to the Staff Planner, Robert Uhlenhake at the address below. Comments should reference case # 2015-AP3-002. Sullivan Hardware has recently refiled their zoning case with the City. Nearby neighbors will be receiving notice letters by mail and will see orange notice signs placed on the property. This next step in their zoning process is largely procedural. The City’s zoning procedures require a petitioner to wait twelve-months before refiling after a denied zoning request. This waiting period can be waived by the Board of Zoning Appeals, if they determine there is a “substantial change” in the circumstances that prompted the denial. If the petitioner receives a waiver, they will proceed with filing a new request for variance and the zoning approval process will start over. In the original zoning case, the City’s planning staff recommended denial of the petition over concerns in the reduction of five parking spaces taken up by Sullivan’s outdoor display area. Sullivan’s has recently entered into a parking lease agreement with a neighboring property, allowing them to maintain their required 19 spaces at all times. As a result, their refiled zoning petition will no longer include any request for a parking reduction, which they feel demonstrates the “substantial change” to justify the waiver of the filing rule. The Board of Zoning Appeals will hear this waiver-request on May 19, 2015 June 16, 2015 at 1:00pm. Meetings are held in the Public Assembly Room of the City-County Building. Neighbors wishing to voice their opinion on this case can send letters to the Staff Planner, Robert Uhlenhake at the address below. Comments should reference case # 2015-AP3-002. Residents are also encouraged to attend the hearing on May 19, 2015 June 16, 2015 and have their opinion heard by the Board of Zoning Appeals. Assuming Sullivan’s receives their waiver, we expect the new petition to be filled almost immediately. 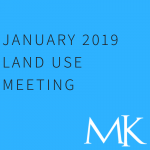 Once that happens, MKNA’s Land Use Committee will review the new zoning petition and request input from all neighbors. Look for future communications regarding the time and location of that meeting. We have received a great amount of response and questions from recent media coverage regarding Sullivan Hardware at 49th and Penn and would like to offer an update to all neighbors.  First, we want to make it very clear that the Meridian-Kessler Neighborhood Association (MKNA) is fully supportive of Sullivan’s zoning requests and spoke of our support at the hearing last Tuesday (12/16). We understand that in our unique urban neighborhood, the City’s zoning regulations cannot always be rigidly applied and variances are often required. Our organization strongly believes in fostering a positive relationship between our business and residential neighbors and we felt we successfully achieved this in the compromise made with Sullivan’s. Meetings we held with nearby neighbors showed support of these variances and our Board voted to encourage the City’s approval. Subsequently, the variance request also received the support of the Meridian Street Preservation Commission and Midtown, Inc.
We fully respect the process that allows for remonstrators’ voices to be heard by the City— we often embrace that process ourselves– however, in this case, we respectfully disagree with the remonstrators’ position and feel their opinions do not represent the majority voice of nearby property owners or the neighborhood as a whole. In fact, we feel the positions they have taken on this case, as well as other cases in the past, are detrimental to the vibrancy of our urban neighborhood. While Sullivan’s request was denied, there is an appeals process that we have encouraged Sullivan’s to pursue. We have reiterated our support and pledged to continue to help them in building an appeal case. Sullivan’s has met with the City and they are discussing the next course of action to appeal this decision. With the upcoming holidays, there likely won’t be any specific determination made until the first part of January. Variance of development standards of the Commercial Zoning Ordinance to provide for: a) 14 parking spaces (19 parking spaces approved by 94-HOV-093 and 2009-DV1-040), b) the seasonal outdoor display and storage of bagged goods, flowers, Christmas trees and related items (outdoor display and storage not permitted), in addition to the greenhouse storage approved by 2009-DV1-040, c) with a trash enclosure in front of the established building line along 49th Street (not permitted), and d) with a flower product display area, parking and bagged goods display and storage area within the clear sight triangles of the driveways at 49th Street and Pennsylvania Street (not permitted). If you wish to watch the zoning hearing from Tuesday, the below link is for the entire Board of Zoning Appeals hearing. The Sullivan’s case starts about 30 minutes into the hearing (link). These variances allow for Sullivan’s to operate their store as they have for the past several years. As they have admitted, they were operating against code by displaying merchandise in the front of their store, taking away five of their required parking spaces (19 reduced to 14). They also occasionally store and display product on the northeast corner of their lot, which could impede visibility entering and leaving their lot. In order to be in compliance, Sullivan’s requests variances to allow both of these areas to be used for product display and storage. Their last request allows for their trash dumpster to remain in the front of the building, which is not typically allowed by City code. Over the course of several meetings and discussions, MKNA expressed our desire for Sullivan’s to work to clean up the front of their store to reduce the “clutter”. They willingly agreed to cut back on the amount of bagged product (mulch, potting soil, etc.) that they store along the south side of their parking lot and took care of this immediately. We also asked that they build an enclosure for their dumpster since it is located in the front of the building. Sullivan’s also complied with this request and now has the dumpster enclosed. The remaining variance requests address a lack of on-site parking. They are asking for 14 spaces instead of the 19 they were required to operate with. MKNA understands that this is an urban area and on-site parking is limited. Given the amount of free, in-street parking in this commercial node, combined with a desire for this to be a walkable/bikeable area, we have no concerns with the elimination of five parking spaces. During their hearing, Sullivan’s further demonstrated they feel their parking lot with 15 spaces is adequate to handle most of their customer’s traffic even on their busiest days. When the time comes for an appeal hearing, we will need neighbors—especially those who live in the immediate vicinity of the store—to show their support for these variances by writing letter specifically addressing your support for the zoning issues. We also will need supporters to attend the hearings and be willing to speak on behalf of Sullivan’s. The factual description of the Request for Variance that will be submitted by Sullivan Hardware. Pat Sullivan has indicated that his case may be restated and resubmitted. Petitions should specifically support his restated case. 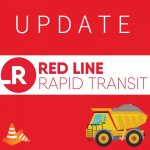 Please look for more communication as the situation develops. When we have been informed of the new Request for Variance, we will help to manage petitions on behalf of Sullivan’s case.